Recruitment marketing is a combination of strategies, tools and tactics that engage and nurture talent in the pre-applicant phase, organically leading top talent to your organization’s career site. The result of this approach generates increased interest in employer brand, a pipeline of more qualified applicants, better quality hires and an improved candidate experience. This strategy has not only been a hot topic in the HR tech industry, but it has seemingly become a necessity in a company’s recruitment approach. Why Should Employers Care About Recruitment Marketing? Most people are open to new job opportunities, in fact according to a recent survey by iCIMS more than a quarter of working Americans weren’t actively looking for a job when they found their current job. Additionally, more than half (51%) of employees admitting they’d consider taking another job if the right opportunity came along. Investing in recruitment marketing can give your company a competitive advantage and help you hire top talent faster, cutting costs associated with a long hiring process. Recruitment marketing supports employer branding by allowing organizations to be found by both passive and active applicants, indicating that it’s time to go beyond just writing a captivating job description and posting to online job boards. The relationship between a company and a candidate start with a first impression. It is extremely important in this pre-applicant stage of the process that candidates start off with a good understanding of company culture and core values of their potential employer. Applicants often evaluate organizations through company websites and if a candidate is perusing your poorly branded site, it will impact their decision of whether they want to work with your company before they search for an open role. Essentially, this recruitment method acts as a form of inbound marketing used to entice potential applicants to visit your company career page subsequently putting top talent directly into the hiring funnel. One of the more notable things that frustrate potential candidates about job searching is clicking on an expired or dead link. Fifty-nine percent of job candidates have abandoned an online application specifically because there were issues or bugs with the online career site. Providing applicants with a first-rate experience on your career portal, will not only increase engagement but expand your talent pool as well. Accelerating recruiting efforts can lead to cost efficiency and fast-tracking the hiring experience. Recruitment marketing generates a pipeline of top talent, alleviating recruiters that are stretched thin while also allowing hiring costs to be tracked through data driven marketing. It is important to reach the best talent ahead of your competition and sometimes even before your target applicant knows they are looking for their next opportunity. Use these new techniques and channels that are progressively becoming reliant on marketing rather than traditional talent sourcing to engage passive and active candidates. 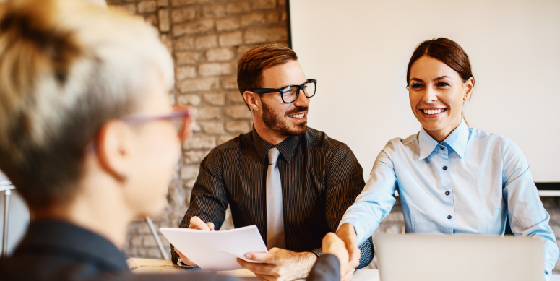 Implementing a recruitment strategy plan to attract top talent as the industry evolves will put your organization at the forefront of the pre-applicant search.